As an online marketing professional, we use Gmail every single day. Whether we are using our email account, logging into analytics, or checking our Google my Business profile, Gmail is the platform that connects them all! It is not just online professionals that use Gmail either, according to Tech Crunch, Gmail has over one billion active monthly users. 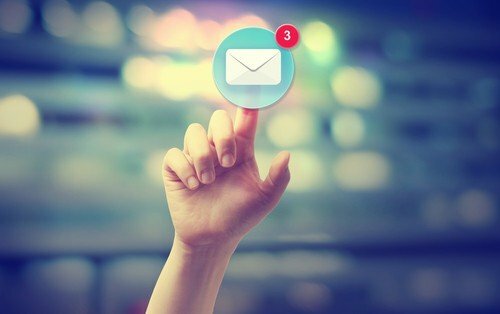 People all around the globe are using this easy to use email interface and now it’s getting an upgrade. Google just recently announced a new update to Gmail’s interface which they will be rolling out in the weeks to come. Not only will the interface have a new look and design, but there will also be some additional features that Gmail users will be able to enjoy. For iPhone or Android users who have the Gmail app, you may already be familiar with smart replies, which are essentially algorithmically generated replies to emails. While the app has been using smart replies for some time, the desktop version of Gmail will now start having smart reply available as well. Another new function that Gmail will have is an email snooze option, which is the same concept as snoozing your alarm clock in the morning. If you receive an email that you cannot respond to this minute or even the same day, you can snooze it so that it will reappear at a later, more convenient time. This way you will not have to fish for an email deep in your inbox or even pin or mark it, simply snooze it and you will get it later. Maybe the most convenient add-on that Google plans to implement is to make the google calendar easily accessible through the connected Gmail interface, making it easier for users to access their calendars and stay organized. The new Gmail interface should be rolling out within the next few weeks so don’t be surprised when you log in to your Gmail and it looks like a whole new world! If you have questions about Gmail or the Google suite as a whole, contact the professionals at Boston Web Marketing today!